It's a question we've often asked ourselves: "Why not give our iPads something to do while they spend their sad days in docks next to our Macs?" Well, the guys a Panic must have been thinking the same thing, because they've created exactly what we've been looking for. 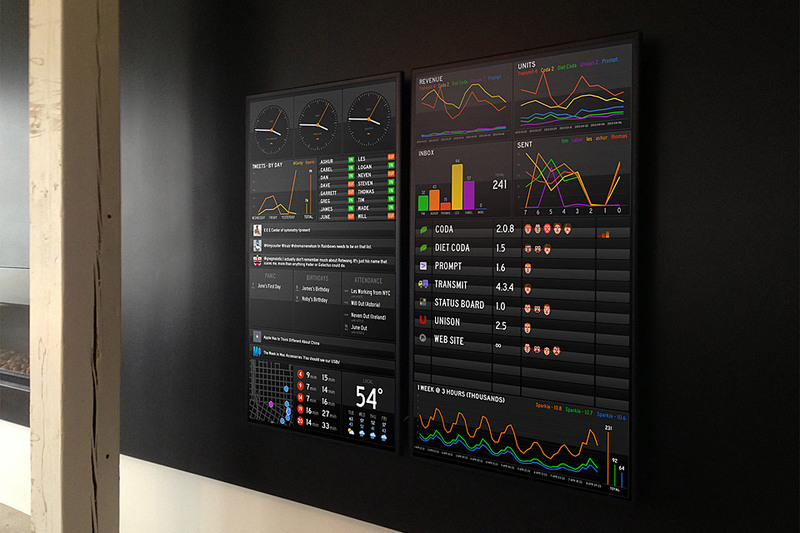 Status Board ($10) gives you an at-a-glance overview of the time, weather, your calendar, email, Twitter timeline, and RSS feeds, plus three Pro options to turn your JSON or CSV data into graphs or tables. You can even design your own panels using HTML. Have a TV hanging on the wall, doing nothing all day? Hook your iPad up via HDMI or via AirPlay to an Apple TV and Status Board will use it to display your info instead — which is way more useful than just watching reruns of SportsCenter all day. 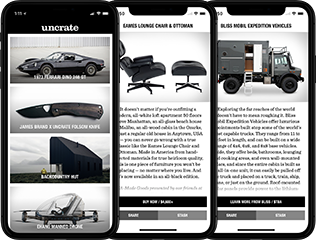 We've just released a great update to the Uncrate app. Thanks to our friends at Converse, we've finally got an iPad version, which you can find as part of this new, handsome update. And as always, this free smorgasbord of awesomeness for your iOS device gives you quick and clean access to our latest product finds and popular stuff, the ability to drill down to certain categories, random item surfing, and Stash saving (just use the same username and password you use on the site). The iPhone version also has a Scout feature for when you're out and about and come across something awesome you think we should be posting. Whether you're looking for instructions on how to change a worn-out rotor or looking for a way to share your latest libation, Snapguide (Free) can help. Created to let people simply and easily create and share guides right from their mobile device, the service offers a free app — designed beautifully for iPhone and iPad — that lets you do exactly that, plus a website that allows you to quickly share your new guide with friends, family, and the Snapguide community.